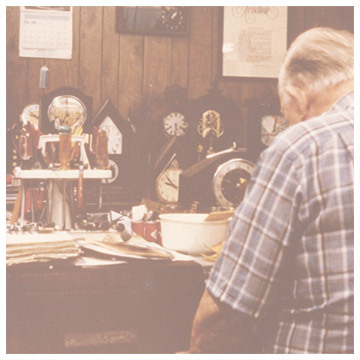 With over 100 years of combined clockmaking experience. 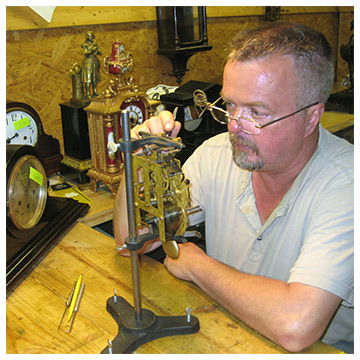 At Prodigy Clockworks we specialize in the repair of antique clocks, tall clocks (grandfathers), and we make service and maintenance calls. Our methods are tried and true as practiced by professional craftsmen for generations. No disfiguring shortcut methods. I service a wide area from East Texas to the Dallas Metroplex and all points between. I'll go further in special instances. I have clients in South Louisiana, Oklahoma, and Arkansas who were unable to find a man closer who could do the job. The woods are full of professed clock repairmen who employ less-than-professional methods (closing holes, soldering, gluing, etc.). 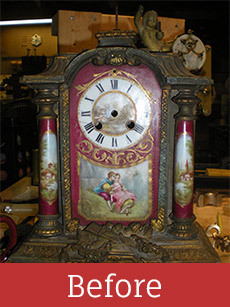 Sometimes they damage the intrinsic value of an antique clock. In their defense, they may not have the advantage of growing up under the tutelage of masters of the trade. I was blessed to have this privilege. I wasn't allowed in my grandfather's shop until he was sure I was mature enough to not touch anything. When I reached that level, I had the privilege of watching him work his magic: turning a worn-out, dirty assemblage of brass parts into a shining, working masterpiece of ingenuity. I learned that a polished, well-functioning mechanical clock movement is truly a beautiful thing. And I was hooked. 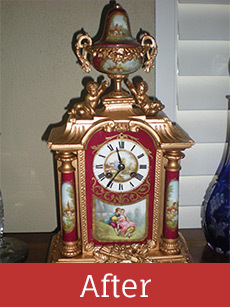 In my childhood home, we sat around the dinner table each evening discussing clocks. 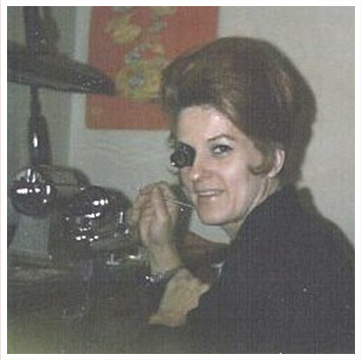 At the age of seven my parents allowed me to tackle my first repair job. It was a simple clock, but even so, I enjoyed a triumphant moment when I set it up on my dad's bench - running. Because we at Prodigy feel a clock is a part of the family, we take special pleasure in helping our customers get to know their treasured timepieces: what makes it tick, and especially what may be harmful to it. To this end I offer maintenance on all clocks. My services are most needed in this respect for grandfather clocks - too cumbersome for the owner to move and too difficult to disassemble to bring the movement in.